Reiki is a form of healing, which cleanses and balances energy in the body. This hands on healing method, originally from Japan, helps promote your body’s natural self-healing efforts. 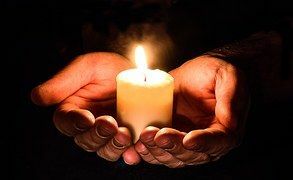 During our Reiki session, I connect with your energy field and support your body to naturally heal. 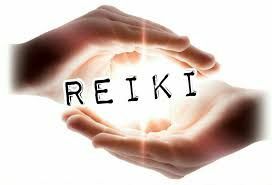 Reiki promotes optimal health and can restore your life force energy. Reiki healing can benefit most people suffering from spiritual, mental and physical ailments. In a Reiki session, you relax on the table, fully clothed. Disrobing, as in massage, is not necessary. I place my hands on you and allow the energy to flow through me. Reiki goes where attention flows. I have been initiated as a Master in the Usui Shiki Ryoho tradition, and have been a Reiki practitioner for over 24 years. I am a member of The Reiki Alliance, an International organization of Reiki Masters. A Distant Reiki treatment is a way that you the client can receive a Reiki session remotely. We schedule a session time and date as if you are coming to my office for a session. You relax in your own environment and receive the session for the alloted time we agree upon. This is your own session the same as if you are on my table for a hands-on session. I ask you for your desired focus for the session before we begin. I contact you to begin the session and then check in with you after the session. This gives you an opportunity to ask questions and I can give you feedback after the session and you may share any experiences or reflections that may have come up for you during the session. This two-hour modality is an intuitive, customized session, in order to obtain information from your energy field, followed by physical bodywork. This session may include toning, tuning forks, hot towels, aromatherapy, and more depending on your needs. Etheric Healing is a hands off modality (my hands do not actually touch you). Through etheric healing methods, a positive healing energy connects with the body in the area that needs balancing. It cleanses the area of energy that could potentially manifest into physical ailments and stress. Our clients often say they feel much more relaxed and at peace after an Etheric healing session; some people say it feels refreshing, others say it is invigorating and their body is tingling after a session. This modality uses your energy field to find specific vibrations that are specific to you. We use bells, tuning forks, rattles, crystal, and our voices to align and balance your body’s energy field. I channel the information, using vibrations and tuning to connect with your guides and guardian angels. I help you balance your chakra system using the pendulum. Clients often feel refreshed, lighter, and more balanced after a Chakra balancing session. The Swedish Massage is a relaxing style of body work, which couples therapeutic oils with certain massage techniques, to help improve the body’s blood flow. Massage techniques include rolling, kneading, and percussion to help with circulation. The benefits of this type of bodywork are wide-ranging and include relief from aches and pains, decreased stress levels in the body, enhanced mental clarity, improved appearance, and greater flexibility. Combined with Energy Work, this session uses vibration, voice, bowls and bells for a full integrated experience.